Booking Luxury Accommodation in Sydney Without Breaking the Bank - Holy Smithereens! I’m a firm believer that travel brings more similarity than differences. We may all have different travelling styles, but I dare say that we’re not really that different from one another. For instance, I think it’s safe to say that if we can have it our way, we’d all want to travel luxuriously without the luxurious price tag. One of the best feelings I personally get when travelling is having a luxurious accommodation, and having an indulgent time knowing that my bank account won’t be in Sahara-drought levels. Here at Holy Smithereens, we’re in the business of travelling luxuriously with a good mix of adventure. And sometimes, that element of adventure comes in the form of exploring luxury accommodation that won’t break the bank. Now I’ve shared many ‘luxury-for-less’ secrets in this blog but to be honest, I feel just a little bit possessive about this accommodation tip I’m about to reveal. Simply because I’ve been enjoying my stays in these properties for years now and the selfish travelista in me wants to keep this indulgent knowledge for myself. Thankfully, I also believe that sharing is caring, and this brand is definitely worth sharing many times over. 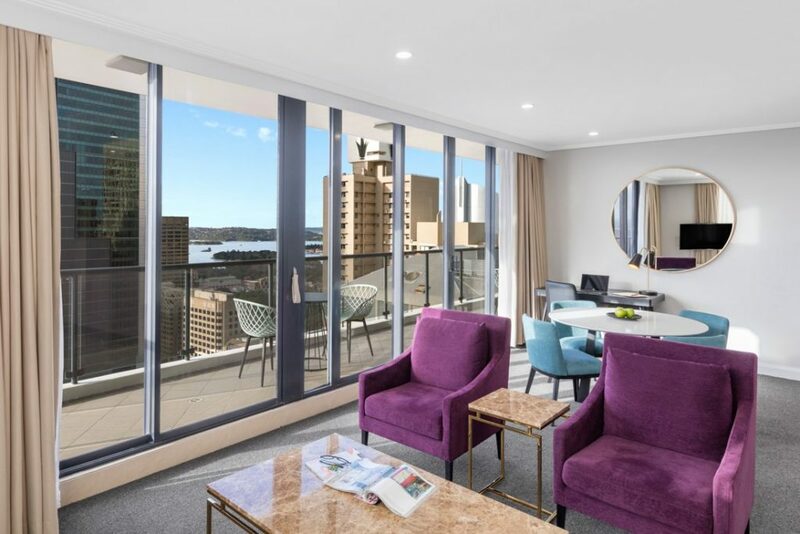 Whenever I travel interstate be it for work events, meeting people who are visiting Sydney, or simply catching up with friends, I always look for accommodation that’s not over the top expensive, but has central and great location, and comfortable. Those were my requirements when I booked my first Meriton Suites stay at Pitt Street in Sydney. I booked direct from their website as they guarantee the best rates, and I find that they also have special offers available only when you book direct. I always prefer booking direct than going through third party hotel booking sites. For AUD 500.00 for a 2-night stay at a very central location (literally a stone’s throw from Town Hall Station) and in the middle of all the CBD action, I thought it was pretty reasonable. What pleasantly surprised me was the accommodation that I got was definitely more than what I paid for. 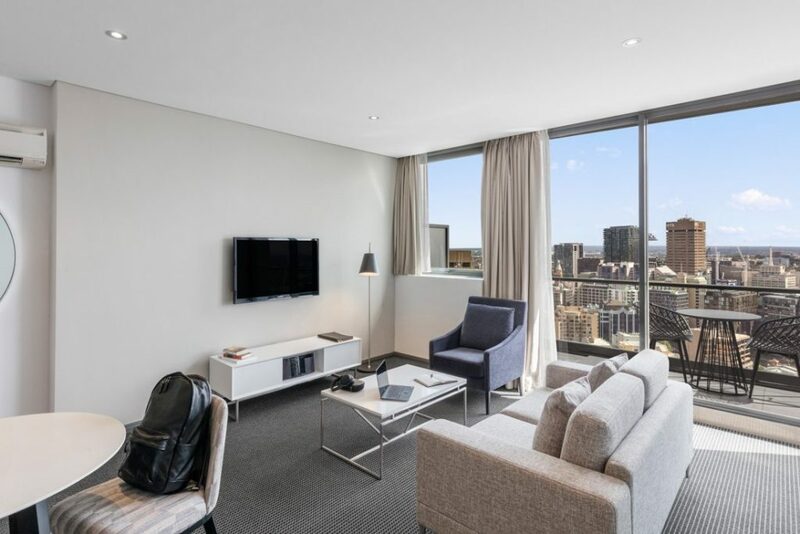 The 1 Bedroom Luxury Suite I got was extremely spacious at 52 square metres, full kitchen and laundry, a private bathroom with shower, built-in wardrobe, a private balcony, and as it is located on levels 18-29, it also offered a great view of central Sydney. What I really loved about Meriton Suites is how clean the apartments are. I’ve stayed in a number of them throughout Sydney and all of them did fit my idea of combining luxury with the perfect location. For what you’re getting for almost AUD 250.00 a night, I’d say this is even better than what most 5-star hotels in Sydney CBD can offer. Double the space, the convenience and amenities. Booking direct from the Meriton Suites website really does have its benefits. For one, I like that the website is very straightforward and no-frills. The most important thing for me is their Free Cancellation policy when booked direct with them, as my schedule sometimes can get unpredictable and erratic. They also won’t charge you immediately (unlike most 3rd party hotel booking sites) and only require you to pay when you arrive at the hotel. And yes, free unlimited hi-speed Wi-Fi! Chinatown is one of Sydney’s must-visit places not only if you’re a tourist but if you want to hoard on Asian goodies to take home. The Meriton Suites in Campbell Street in Sydney is the perfect location. The location is also perfect as Campbell Street is surrounded by Thai, Korean and other Asian restaurants. I still believe that Sydney has one of the most diverse and best Asian cuisines worldwide, so make sure that you have allotted a day or two for Asian food tripping when staying at this Meriton Suites. If this isn’t a luxury bargain, then I really don’t know what is. For almost AU 150.00 a night, you get this plus, spacious apartment located in Grafton Street, right above the Bondi Junction train station, and next to Westfield. There are times I’d rather not stay in Sydney CBD itself for a change of scenery, and call me crazy but I actually like taking the Sydney Trains. Bondi Junction is a location close to my heart as I lived here for a couple of years, and it’s also away from the CBD which can sometimes feel a little congested, but not too far away – taking the train, it’s only 4 stops to Town Hall, 5 stops to Central. And if you want to head to the iconic Bondi Beach, it is just one bus ride away. And I find that with Meriton being serviced apartments, it’s the perfect cross between a hotel and a luxurious Airbnb. It doesn’t feel like a cookie-cutter hotel where all rooms look the same and are heavily branded, no staff hovering over you but your apartment still gets serviced daily. 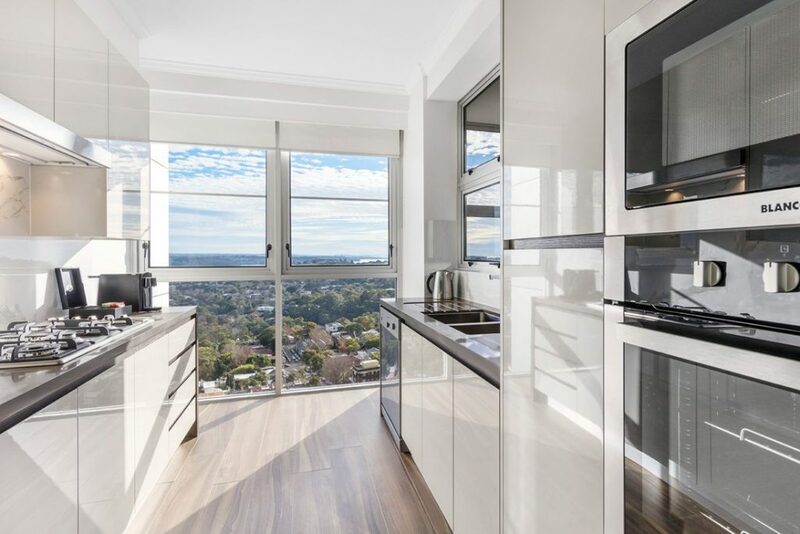 And as most Meriton Suites are centrally located, you can do some quick food shopping and utilise their very modern kitchens in order to have that ‘living-like-a-local’ feel. Unique experiences are one of the buzz words in today’s travel trends, and staying in a Meriton Suites surely gives a one of a kind experience of making you feel like a local or a staycationer, and not a tourist. In Sydney alone, Meriton has 13 properties: in the CBD- Cambell Street, Kent Street, Pitt Street and World Tower. Eastern Suburbs – Bondi Junction, Waterloo, Zetland. Parramatta – Church Street, George Street. And in the Northern suburbs- Chatswood, North Ryde and North Sydney. As they’ve got North Sydney well-covered, you may want to check out their guide on top things to do in North Sydney. 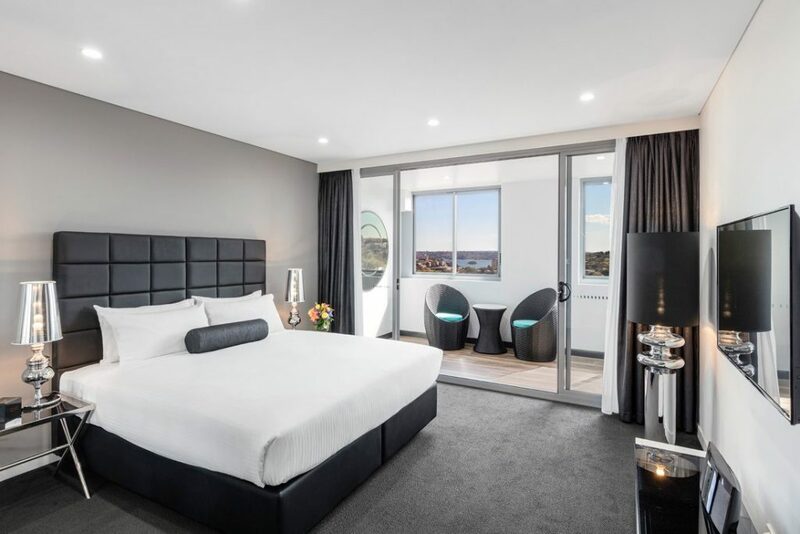 They are opening a Sydney Airport location this April and I’m very excited for Meriton Suites to be one of the new Airport accommodation additions. 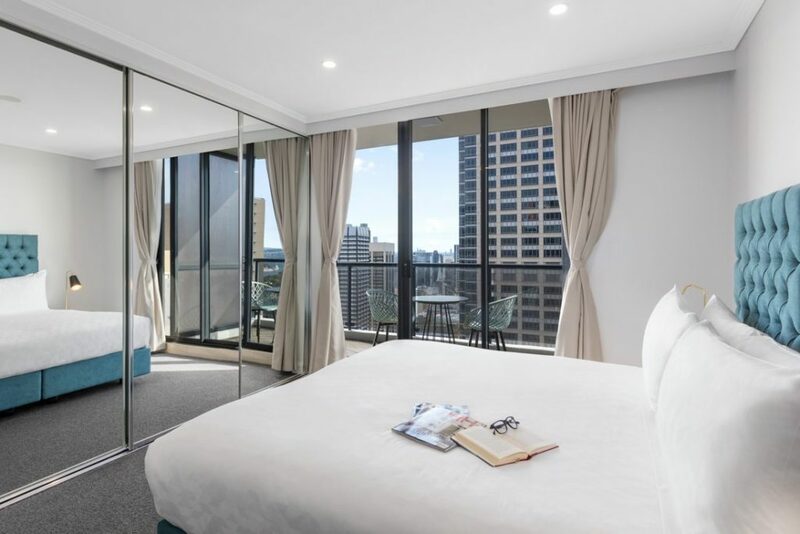 Meriton Suites was founded in 2003 and with a total of 17 properties, and 4,469 suites, they have become Australia’s largest owner of hotel rooms. I like that their approach is very strategic and not much into just having as many properties as possible. I believe this is how they have maintained their standards and quality throughout these years. Have you ever stayed in a Meriton Suites before? How did you find the experience? This post is done in partnership with Meriton Suites but I have personally booked myself at their apartments a number of times. Suites are definitely the way to go when I am with my kids, for the price of a hotel room having a kitchen and full fridge is a boon. 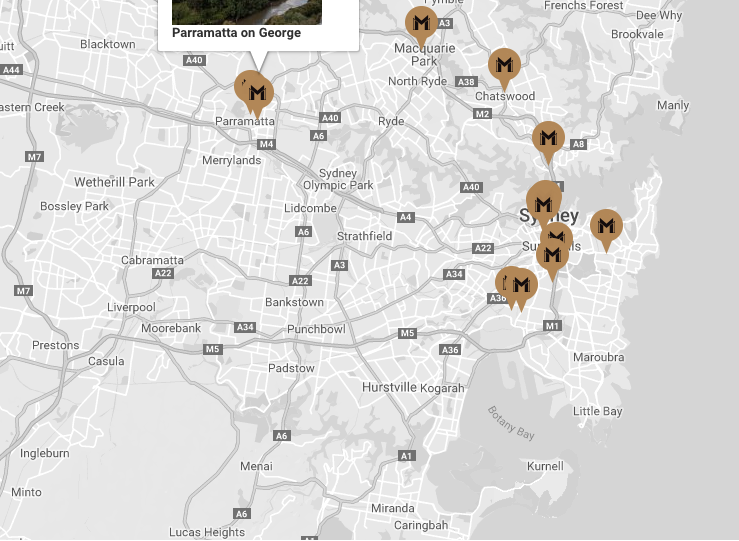 I had not realised there were so many Meriton locations in Sydney. Handy!